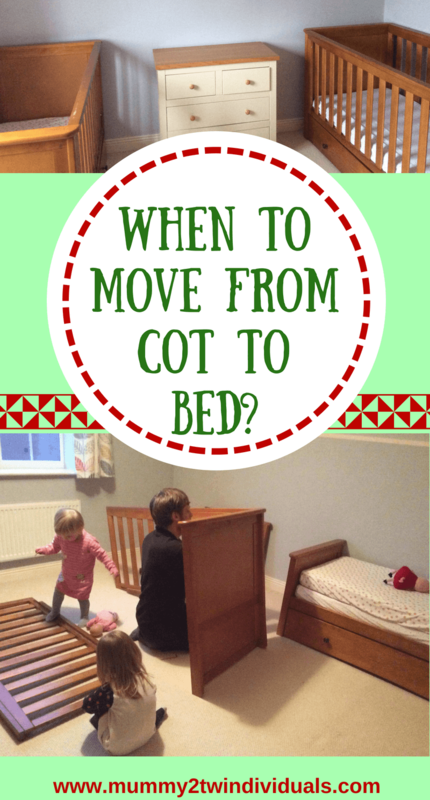 When to transition from cot to bed? If you’d asked me a week ago, I’d have given you a different answer than today. You see, a week ago, I was adamant that my girls would be in cots for as long as possible. I was even hopeful they might make it until they turned three. Wishful thinking I know but the thought of them being able to get out and wander around terrified me. The prospect of stupid ‘O clock wake ups didn’t appeal either. Jess had other ideas. She learnt how to climb out just after Christmas but for some reason she only did it once or twice. In fact, she seemed more keen on climbing in than out. However, for the last fortnight, she really hasn’t wanted to wear a nappy to bed. After eight consecutive nap and night time accidents, enough was enough. She clearly didn’t want her nappy on but couldn’t get out of the cot quick enough to make it to the potty so we either ended up with a soaked cot or twice, a trail of wee between cot and potty. Not fun to clean up at 3am. We bit the bullet and converted to beds. I’m so glad we opted for nice cotbed as they now look lovely side by side and apart from a few holes, you can’t tell they converted cots. I was also pleased to be rid of the sides as they looked as though two mice had been nibbling the entire length. Night one started better than anticipated and after lots of cuddles and kisses they didn’t seemed phased with the change. Half an hour later, Jess was standing on the landing naked. She’d had a wee in the potty but then woken Emily coming out to tell us. In the night she wet the bed. Night two and three were pretty similar. I decided to try pull ups for nights and was surprised she was ok with this but then we had another 3am wet bed when she’d decided to take them off. It has been pretty frustrating and I’m still unsure whether we’ve made the right decision. Last night she asked for her ‘night time pants’ and we had our first uninterrupted night. They were full in the morning but the bed was dry….hooorah! I think I’m going to stick with the pull ups just for sleep. She’s doing so well in the day so I guess we’ll just have to wait and see when she’s ready to go nappy free at night. 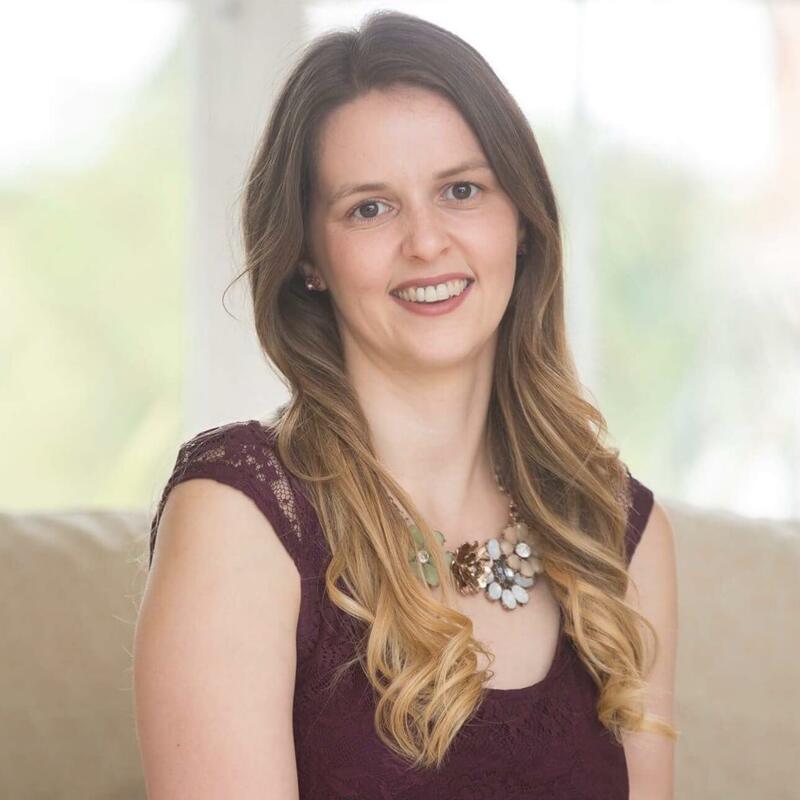 As I write this I’m sitting in my bed at 8:30pm and I can still hear the odd bit of chatting. They know they can’t come out of the room until mummy comes to get them but I wouldn’t be surprised if they are both in the same bed. I’ve been doing the super nanny routine of just putting them back every time they come out but it is getting boring. Girls please go to sleep so mummy can go watch some TV and rescue her evening.